Alliance is a network of 25 high-performing high school and middle school academies in Los Angeles' most under-served communities. Alliance was first incorporated in 1991 as Los Angeles Educational Alliance for Reform Now (LEARN), the organization focused on advocating for systemic reform in the Los Angeles Unified School District. Teaming up with the Los Angeles Annenberg Metropolitan Project (LAAMP, part of the national Annenberg Challenge), a half-billion dollar private effort to improve public schools in the United States, the LAAMP/LEARN Regional School Reform Alliance organization assessed the effectiveness of previous reform efforts and discovered that developing a system of high-performing charter schools would be the most effective way to ensure improvements in public education. Through the expertise and collaboration of experienced public school leaders with a vision of public school education that could bring these improvements to life, Alliance schools are among the best performing in the nation. All Fifteen eligible Alliance High Schools were ranked among the best high school in the nation by US & News World Report. Thirteen Alliance High Schools were ranked among the best high school in the nation by US & News World Report. Alliance Joni & Jeff Marine High School Academy opens. Alliance Virgil Roberts Leadership Academy opens. Alliance College-Ready Middle Academy 21 opens. Alliance Margaret M. Bloomfield Technology High School opens. Alliance Kory Hunter Middle School opens. Alliance College-Ready Middle Academy 8 opens. Alliance Alice M. Baxter College-Ready High School opens in San Pedro. Alliance launches Personalized Alliance College Experience (PACE) at Alliance Alice M. Baxter College-Ready High School. Alliance College-Ready Middle Academy 12 opens. Alliance expands the BLAST model to reach 10 schools (a new high school and two new middle schools). Alliance Renee & Meyer Luskin Academy High School opens. Alliance Susan & Eric Smidt Technology High School opens. Alliance expands the BLAST model to a fourth high school and launches the model at three middle schools. Alliance Dr. Olga Mohan High School is named a California Distinguished School for the second time. U.S. News & World Report ranks six Alliance schools in the top 5% of all high schools nationwide. 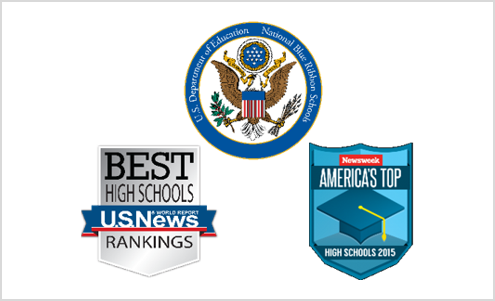 Seven Alliance schools rank in Newsweek's "Top 2,000 High Schools" nationwide. Four Alliance schools are named among Newsweek's "25 Most Transformative High Schools" in the nation. Alliance Ted K. Tajima High School opens. Alliance Tennenbaum Family Technology High School opens (the first Public School Choice site), and third high school BLAST model. Alliance Gertz-Ressler High School is the only school in Los Angeles to be named a National Blue Ribbon School by the U.S. Department of Education in recognition of superior academic performance and growth. U.S. News & World Report ranks six Alliance schools in the top 3% of all high schools nationwide and the top 100 high schools in California. Alliance Cindy & Bill Simon Technology Academy High School opens. 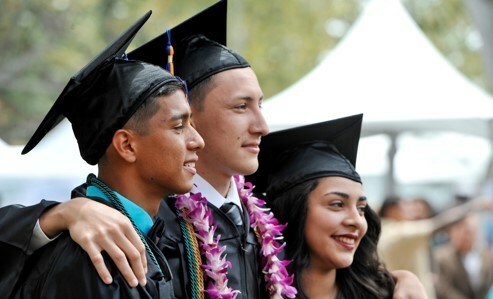 Three Alliance schools rank in the 10 top-performing LAUSD high schools based on API scores. Alliance receives a $5 million award from the U.S. Department of Education's highly competitive Investing in Innovation (i3) program. Alliance launches Blended Learning for Alliance School Transformation (BLAST) at two pilot high schools starting with 9th grade. 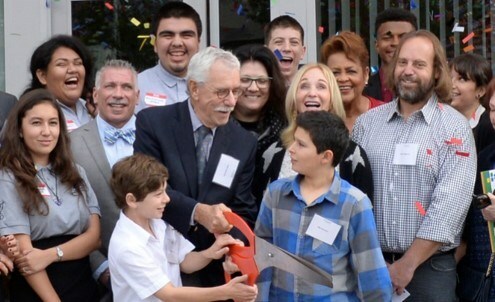 Alliance Leichtman-Levine Family Foundation Environmental Science High School opens. Alliance Piera Barbaglia Shaheen Health Services Academy High School opens. Alliance Morgan McKinzie High School opens. Alliance College-Ready Middle Academy 4 opens. Alliance College-Ready Middle Academy 5 opens. 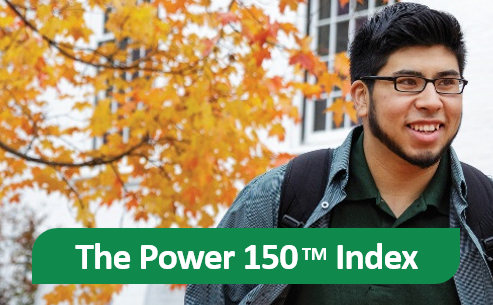 100% of Alliance graduates are accepted to college. Five Alliance schools rank in the 16 top-performing LAUSD high schools based on API scores. Alliance receives four California Distinguished School Awards. 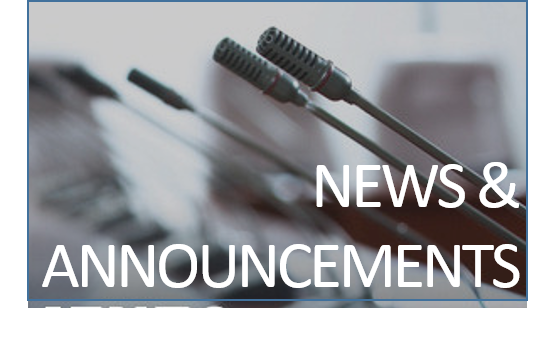 Alliance joins The College-Ready Promise (TCRP), a $60 million Bill and Melinda Gates Foundation Initiative to improve teacher recruitment, training, and retention efforts. Three Alliance charter high schools receive top student achievement awards from Effective Practice Incentive Community (EPIC) Gains for innovative and effective practices that positively impact student achievement. Alliance Christine O'Donovan Middle Academy opens. Alliance celebrates our first class of high school graduates from Alliance Gertz-Ressler High School. Alliance Patti & Peter Neuwirth Leadership Academy opens. Alliance College-Ready Academy High School 7 opens. Alliance Jack H. Skirball Middle School opens. Alliance Dr. Olga Mohan High School opens. Alliance William & Carol Ouchi High School opens. Alliance Marc & Eva Stern Math and Science School opens. Alliance Judy Ivie Burton Technology Academy High School opens. Alliance Collins Family College-Ready High School opens. Alliance Richard Merkin Middle School opens. 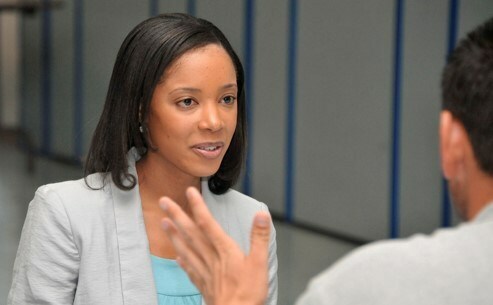 Alliance College-Ready Public Schools was formed as a nonprofit charter management network. Alliance Gertz-Ressler High School opens.